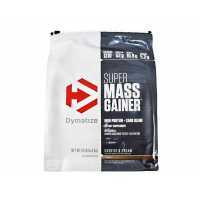 Weight Gainers - High Calories supplements designed for individuals who has fast metabolic rate and needs of extra quality Calories with High amount of protein for optimal performance, fast recovery and rapid mass gain. Macau Nutrition provide world top selling gainers which can be suitable for all individuals, Extra High Calorie gainers can reach 2000 call in one serving! but at the most case in order to gain good quality muscle gainers with range from 600-1200 calories will be optimal for fast weight gain with good quality muscle mass. The main ingredient in weight gainers is Carbohydrates, Healthy Fats and Protein, some brands add additional glutamine bcaa and creatine to the gainer formula for even better result! Every person body respond differently to every nutrient, most popular weight gainers formulas ration is High Carbohydrates, Moderate protein and low amount of healthy fats, Some Company like musclepharm will use High Protein, Moderate fat and Low carbohydrates formula ration. Macau Nutrition provides best quality Gainers from world top selling brands at the lowest price ! Visit our retail store for professional advice from qualified sales personnel and we will always suggest you best gainer which will definitely will be every effective and suitable for your body ! 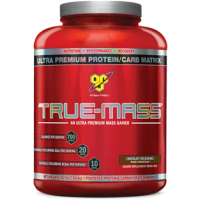 BSN True Mass is the Multi-Functional Protein and Carbohydrates formula designed for maximum weight gain and fastest recovery after weight lifting or any other sport activity. It can be used as meal replacement during the day or before sleep. 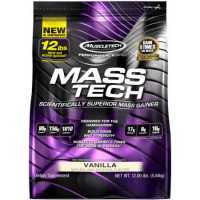 True ..
BSN True Mass 1200 is the Multi-Functional Protein and Carbohydrates formula designed for maximum weight gain and fastest recovery after weight lifting or any other sport activity. It can be used as meal replacement during the day or before sleep. 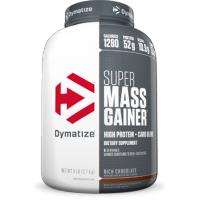 Tr..
Dymatize Nutrition Super Mass Especially for those who have a high metabolism or who do not get enough calories on a diet throughout the day. 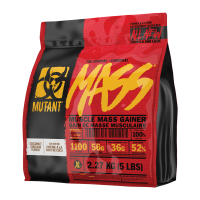 Calorie is crucial to gaining and maintaining muscle mass, because it prevents the use of hard-to-get..
Full Force Full MassF2 Full Mass is the one of the most effective weight gainer in the supplements market! 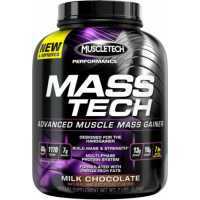 If you want to increase body weight and muscle mass in the same time F2 Full Mass is your Ultimate choice, packed with high quality whey protei..
MuscleTech Performance Series Mass Tech is an advanced muscle mass gainer designed for any individual that has a tough time adding size or in their bulking size.Power-packed with 80 grams of protein and ridiculously high mass-produc..
MuscleTech Performance Series Mass Tech is an advanced muscle mass gainer designed for any individual that has a tough time adding size or in their bulking size. 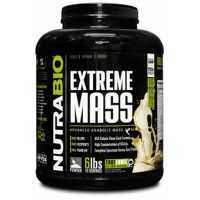 Power-packed with 80 grams of protein and ridiculously high mass-producing ..
NutraBio Extreme Mass uses a scientifically advanced protein formula that feeds your muscle with 53 grams of amino packed protein in a steady stream lasting up to 3 hours. 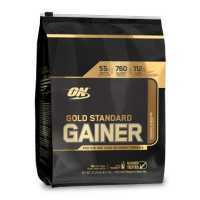 70% of the total protein comes from pure Whey Protein Isolate for quick a..
Optimum Nutrition Gold Standard Gainer is a protein and carbohydrates recovery formula, perfect for those who have a hard time gaining weight from regular whey protein. 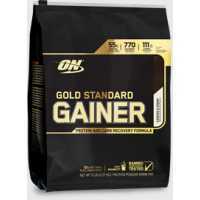 Gold Standard Gainer consist of complete dairy proteins mostly from isolat..
Optimum Nutrition Gold Standard Gainer is a protein and carbohydrates recovery formula, perfect for those who have a hard time gaining weight from regular whey protein. 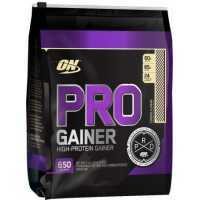 Gold Standard Gainer consist of complete dairy proteins mostly from isola..
Optimum Nutrition's Pro Gainer is a high-protein formula delivering calories that count during recovery. 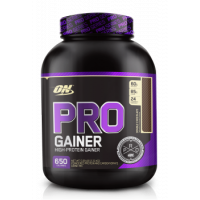 Pro Gainer is comprised of high biological value proteins, which means they are easily digested and absorbed so they proveide a full complemen.. 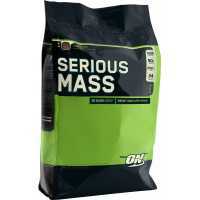 Delicious Weight Gainer Protein Powder, Serious Mass from Optimum Nutrition Brand is now available in extra big 12lb size! Ideal for an healthy adult diet, thinking specially in athletes to have enough energy, pump and recovery for an exquisite tr..